And now teaching mathematics at your school! The best fundraising ideas for schools are the ones that also really engage people and are fun! 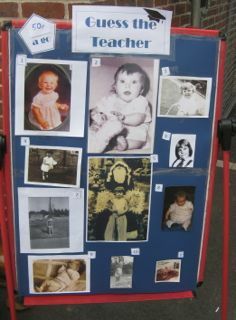 A Teacher Baby Photo competition can be used in several different ways and is a guaranteed hit. Ask all the teachers at the school to bring in a photograph of themselves as a baby or young child. Depending on the size of your school you may like to extend this to other school staff such as teaching assistants, dinner ladies or crossing patrol wardens (lollipop ladies). If there were a lot of staff you might like to restrict things to perhaps 10 - 20 of the most well known. Always try to include the head teacher. Scan the photos and return the originals to their owners. At the same time take a current picture. The idea will be for people to match the baby photo to the member of staff. Have all the pictures blown up to A4 (21cms X 30cms approx). Give each baby photo a letter and each current photo a number. People buy an answer sheet on which they try to match the correct photos. Make up a simple competition sheet with the photos on one side and the entry form on the back. Run the competition for a whole week. Pupils can take the form home, and study their teachers to look for clues whilst at school. You may like to add intriguing little notes such as sporting achievements or youthful pastimes of the mystery subjects in the baby photos. As an extra bit of fun you could also ask contestants to nominate the photo they think is cutest! Nothing like a bit of friendly competition amongst the teaching staff! 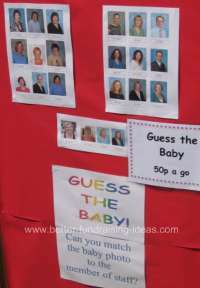 Junior and infant schools may like to use both the form but also have a display board of the photos to intrigue parents dropping and collecting their kids from school. Don't forget to explain where people can get an entry form. Got a whizzy IT department at the school? Put their skills to good use and devise a way the whole thing could be done on-line. 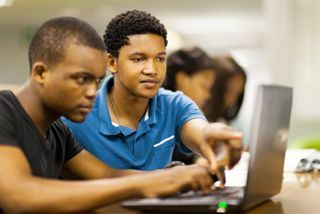 What a fab project for the computer club at your school. It could even be a specific fundraiser to raise money for the school computer club. A little variation on the idea - Teachers Pet! Well baby photos are all very well but.......if you wanted to try something different how about this? Match the pet to the teacher. 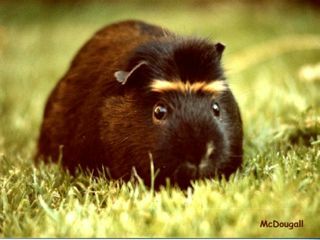 All the teachers provide a photo of their childhood or current pet and its name. Can you match which pet goes with which teacher. The great thing about simple fundraising ideas for schools like this one is that however much money is raised, people also have a bit of fun. It shows a human face to the school and the staff who work there. Who'd ever have thought that your scary old physics teacher would have looked so cute as a baby!